Oglaend System supplied our customer Balfour Kilpatrick Limited with more than 22,000 metres of OE100 cable ladders and supports for the Hindhead Tunnel. The 1.8-kilometre-long tunnel is the longest non-estuarial tunnel in the UK. 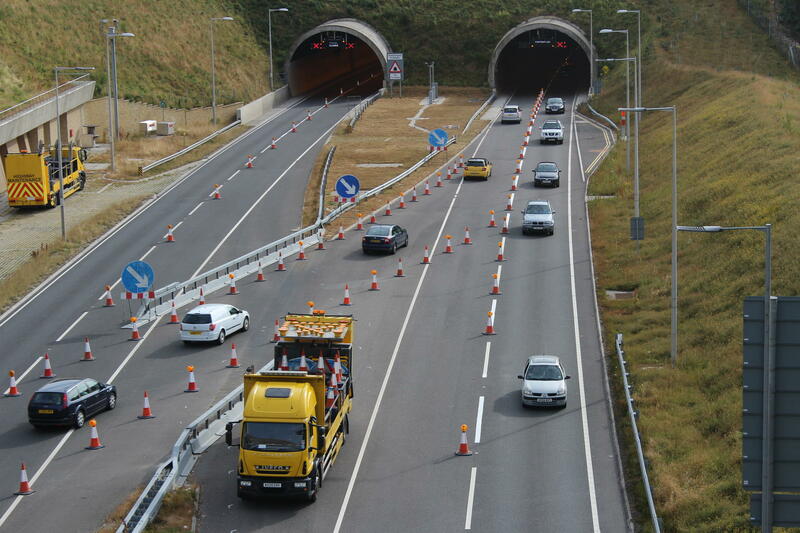 This tunnel project was a part of the improvement of Highway A3 between London and Portsmouth in Surrey. It is equipped with advanced safety systems such as; radar-based incident detection system, 104 CCTV cameras, communication systems, intelligent LED-lighting and high-quality ventilation. Every 100 metres there is a cross-passage and easily identifiable escape routes.